The Carmen Jacket is sleek and divinely simple with a built up neckline, nipped in waist and contrast piping detailing. 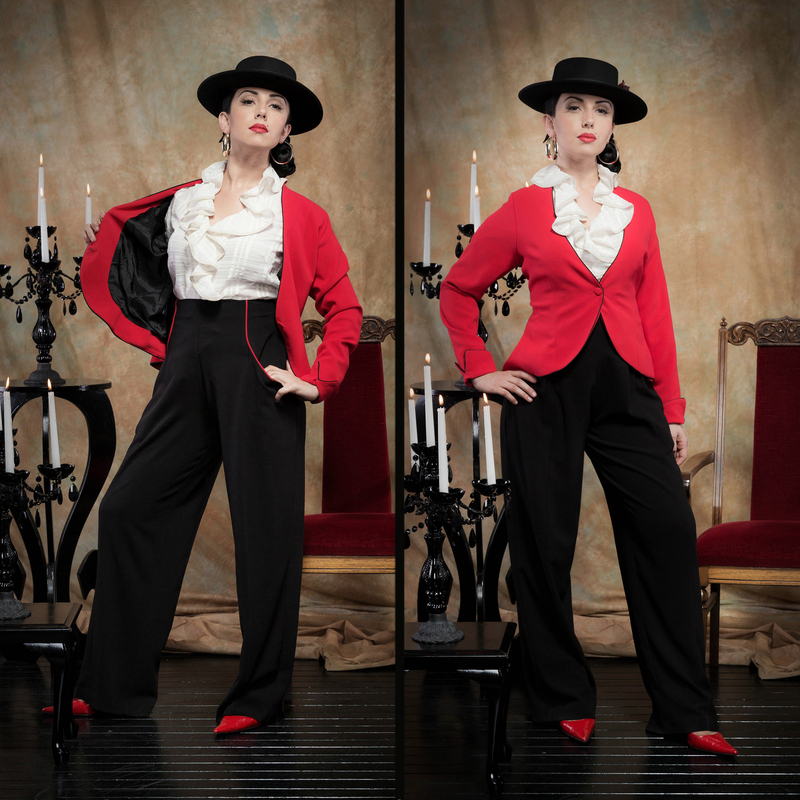 Seen here in a poly/viscose crepe, with the matching Amaya High Waisted Pants in BLACK/red. Together they make up the Carmen Amaya Suit. The Romana Ruffle Blouse, with its cascading neckline and feminine sleeve perfectly suits the neckline of the Carmen Jacket. Together these two garment create a striking ensemble.